A work trip to Buenos Aires at the very end of August 2018 was a welcome opportunity to visit the Valdes Peninsula in Patagonia, which has been on my bucket list ever since I saw the famous footage of the Orca’s hunting sea lions straight off of the beach. This was my second proper trip to Argentina (if you don’t count a few hours over the Brazilian border at Iguazu Falls). In 2017 I spent an enjoyable few days in Entre Rios province . The country continues to grow on me. So much space, And so much fabulous food and wine. In one Buenos Aires restaurant the waiter really did cut my steak open with a spoon. 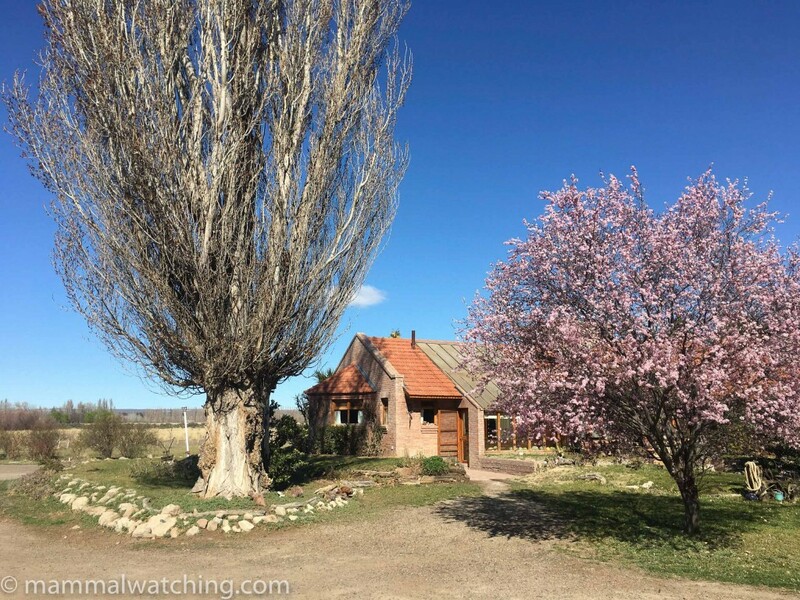 I spent just three nights in Chubut Province, in northern Patagonia, arriving on Sunday morning in the forgettable town of Trelew, a 90 minute flight from Buenos Aires. 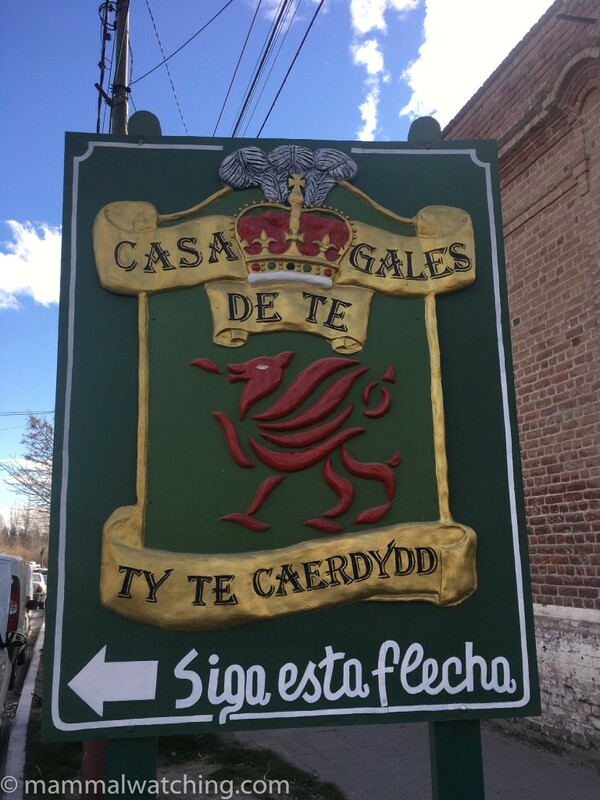 Gaiman, just 30 minutes from Trelew, is Wales’s famous Patagonian colony. Well it is famous in Wales. I remember reading about this Welsh-speaking settlement, proudly showcase in textbooks during Welsh lessons at high school. Pretty much all I remember about those lessons in fact, other than sitting at the back and making farting noises with my hand under my armpit. If only that noise could call in duikers – I remain a master of the technique. Gaiman is a lovely little town. An amusing blend of Wales meets South America. The street names are all Juan Evans and Ricardo Jones (though I was told “Jones” there is pronounced “Honez”). Many people do still speak Welsh, eat at Welsh tea rooms and attend the Eistedfodd (a sort of Welsh Burning Man for the terminally uncool). I spent my night here at the very nice Pousada Los Mimbres, a homestay on a farm just outside of town. The accommodation and food was faultless, as was the owner – Marcela – who couldn’t do enough to help me track down a few mammals. I took a walk along the river behind the house in the afternoon and saw a pair of Coypus. I saw several more at night. 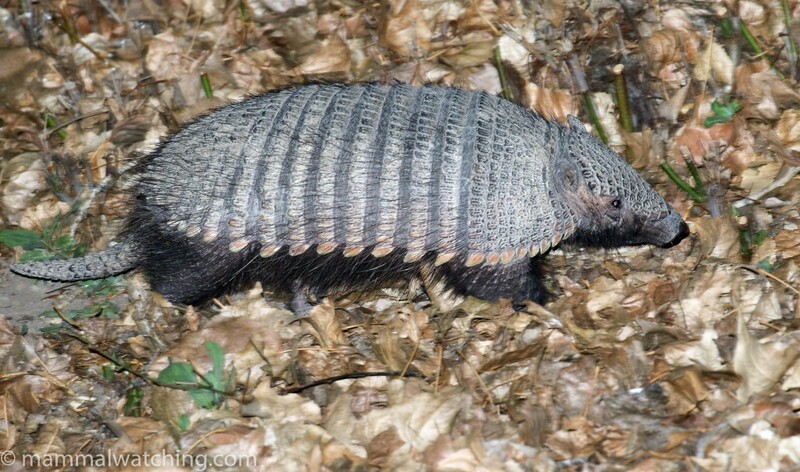 But the best mammal was my first Large Hairy Armadillo. It had recently taken up residence in the garden and was terrorising Marcela’s flower beds. An hour or so with the heat scope at night produced many European Hares but no rodents. Nor did I see the Lesser Grisons which Marcela sees now and again, though I was not looking for them in particular. I set some traps in thick vegetation along Route 7, down the Chubut River Valley about 10km south east from the pousada. The road here is sandwiched between the cliffs of the plateau and the river. The next morning I had caught my first Grey Leaf-eared Mouse. 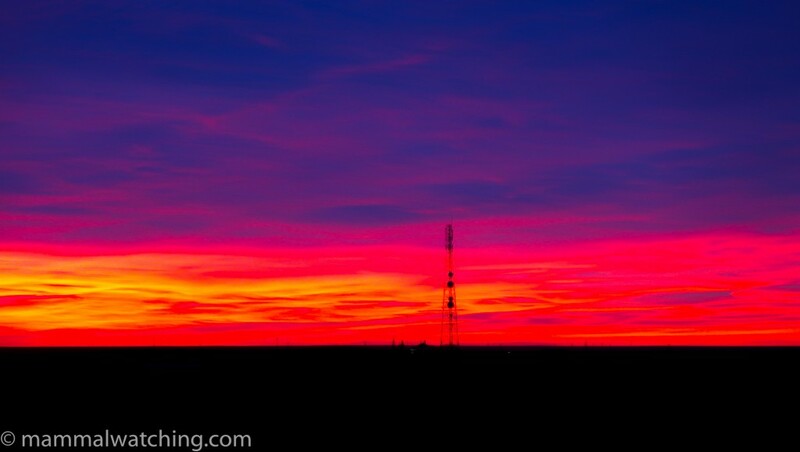 A short spotlight along the road – curtailed because I was anxious to get back for the steak that Marcela was cooking for me – produced a couple a of Humboldt’s Hog-nosed Skunks and some bats flying high near the cliffs. There are only a very few species in the area and I guess these were most likely Mexican Freetails. And yes the steak was delicious. And cheap: a rib eye with roast potatoes, an empanada, a coffee and half a bottle of Malbec cost me $16. Man I love this country! In the morning I headed out to Puerta Piramides, the only town on the Valdes Peninsula, about 3 hours’ drive from Gaiman. I stopped in at Punta Loma (or as Google Maps insist on calling it Reserva Loberia de Punta Loma) next to Puerto Madryn and just a 20 minute detour off of my route to the peninsula. 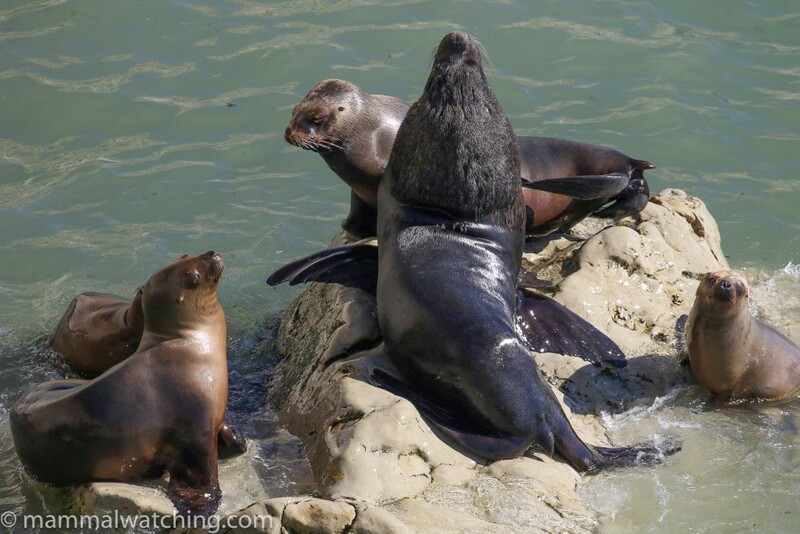 This small reserve is home to a rookery of South American Sea Lions with Southern Right Whales cruising past just off the beach. 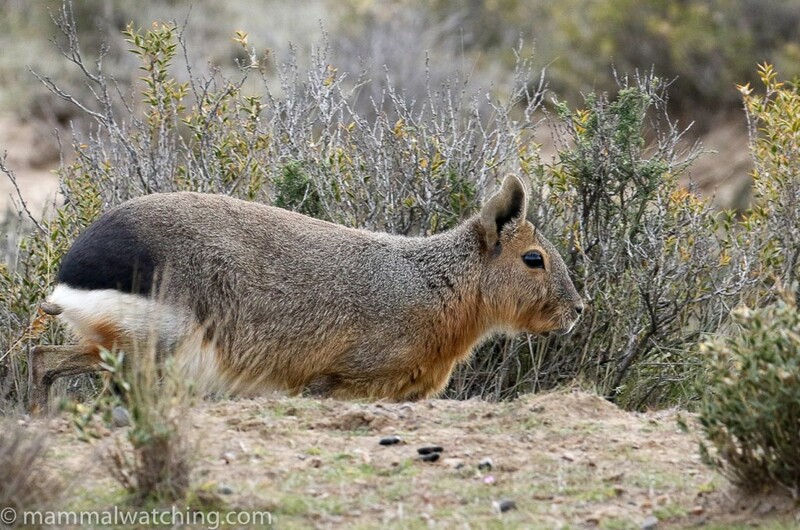 More importantly it can also be a good place to see Southern Mountain Cavy (Microcavia australis) or Cuis as the locals call them. These can be a rather shy species, though I was told you can often find habituated animals at some of the tourist stops along the coast. But the Cuis come and go and they weren’t very visible when I was there. 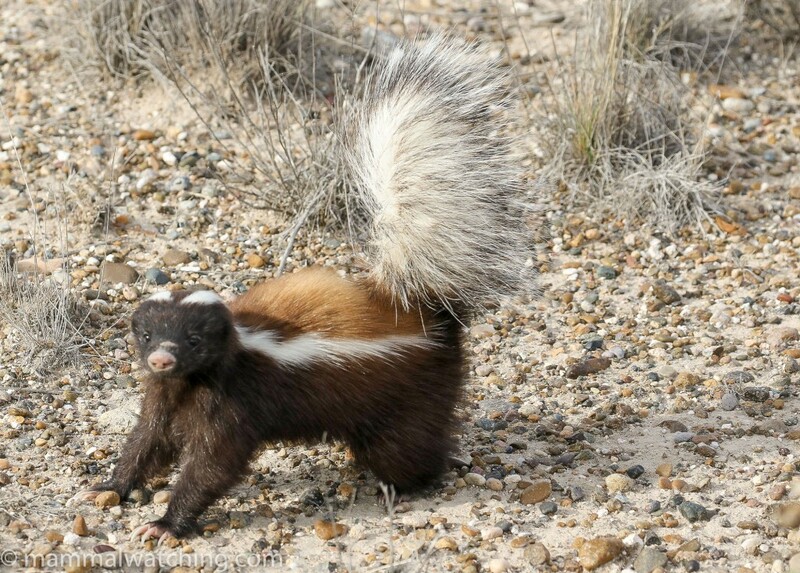 That said I did see two animals on the side of gravel road which leads from the edge of Puerto Madryn to the reserve gates, and I got a good – but too brief to photograph – look at another along the entrance road into the reserve itself. The penguin colony at Punta Tomba (closed until mid September) is reputedly another good spot to look for this species. I continued on to the peninsula itself. Beware there is an entrance fee – I think about 400 pesos – and they only take cash. 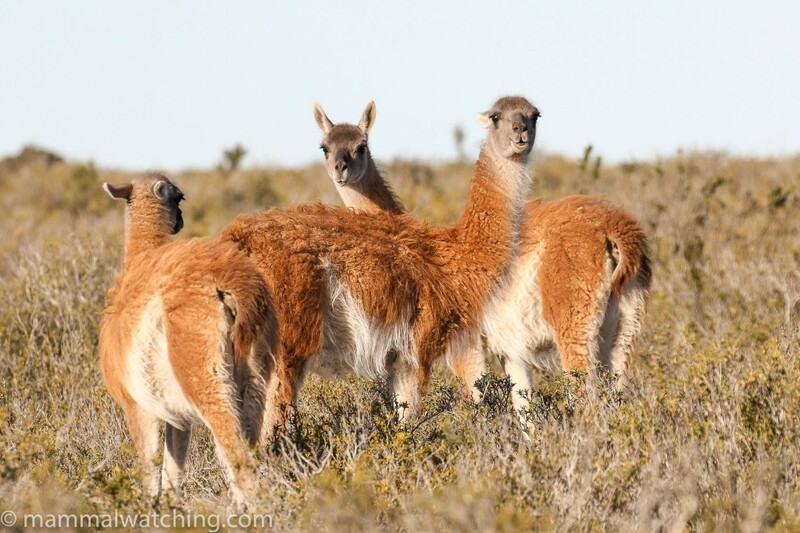 Half an hour – and many Guanacos later – I had checked in to Hosteria Puerto Palos for the next two nights. Another friendly place where I could sit in my bed and watch Southern Right Whales in the bay. With the Large Hairy Armadillo and Cuis already in the bag my remaining key target species was Patagonian Mara, along with anything else I could find: Pichis, Geoffroy’s Cat, Orcas, Tuco-Tucos, Rabbit Rats and other small rodents were all possible, with a very outside chance of a Patagonian Weasel or a vagrant South American Fur Seal. But early September is not the best time to look for animals here. Though I was lucky with the weather: little wind and sunny with highs around 20C and lows of 7C – many of the mammals were harder to find than I expected. And that was despite driving about 500km over the day and a half I was there. 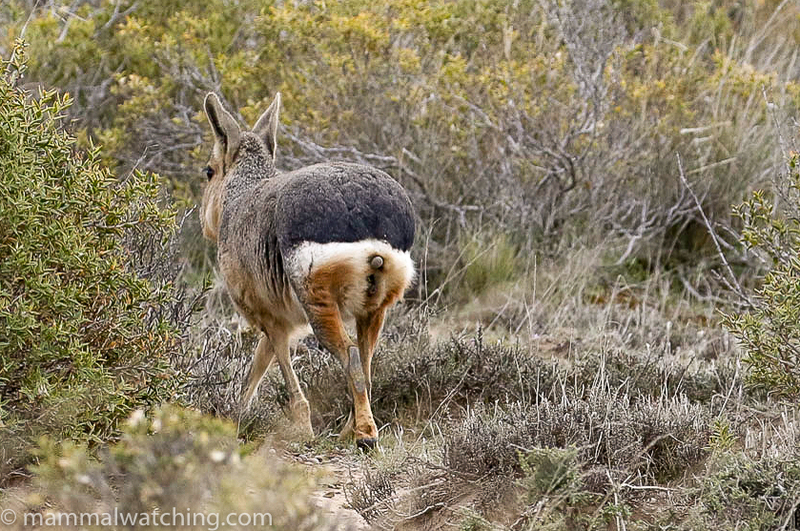 I saw only one pair of Patagonian Maras, a species I thought I would see many more of. The two animals were about 2o km out of Piramides on Route 2 towards Punta Delgada. My thanks to the tip from the local police who I was already on a first name basis with after 12 hours in town. I saw another two Large Hairy Armadillos. One on the late afternoon at the San Pablo de Valdés Wildlife Reserve close to Piramides, and another – through the cafe window – at Caleta Valdes on the east coast. I did not see the habituated animals begging for food in carparks that I had expected. And I got a glimpse of one Southern Mountain Cavy (through the toilet window at Punta Norde). 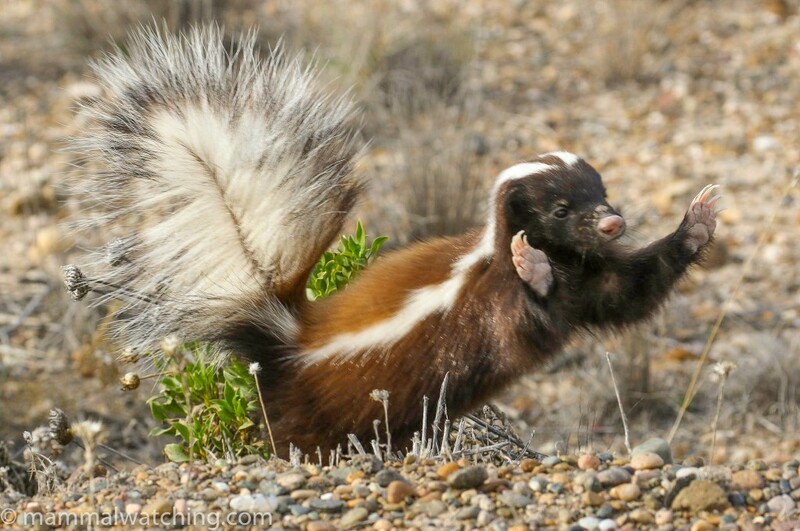 I had a great encounter with a Patagonian Hog-nosed Skunk, that put on a threat display and sprayed in my general direction, just a few kms before leaving the peninsula and turning south towards Puerto Madryn. The animal held its ground for three minutes and was jumping up onto its hind legs and clapping its front paws at me. Very scary indeed! Guanacos were not hard to find. I saw thousands. 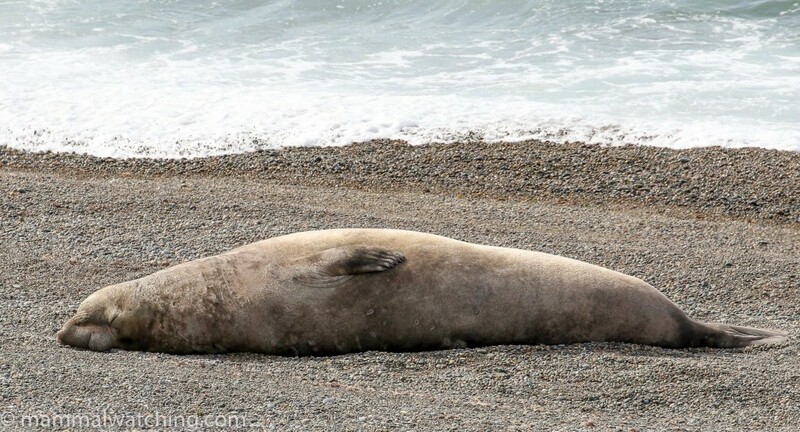 Southern Elephant Seals and South American Sea Lions are common all along the coast. I was able to see both species at just about all of the landmark lookouts on the east coast from Punta Delgada to Punta Norde. 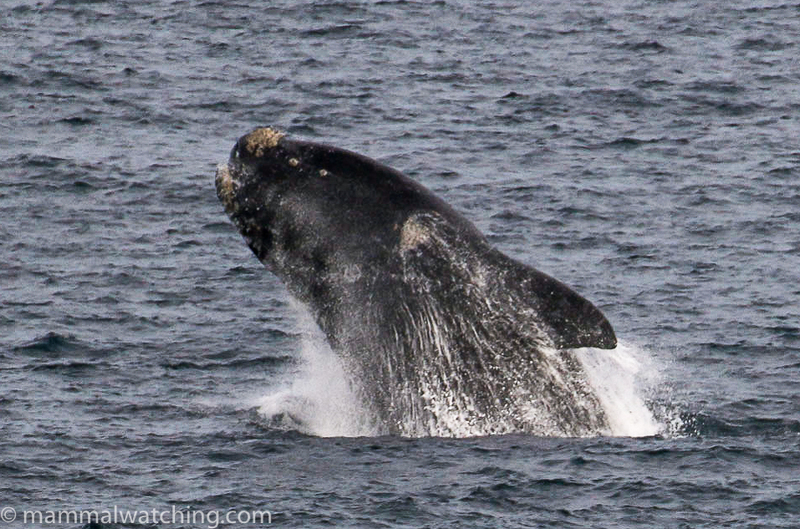 And there were lots of Southern Right Whales in the bay at Piramides. 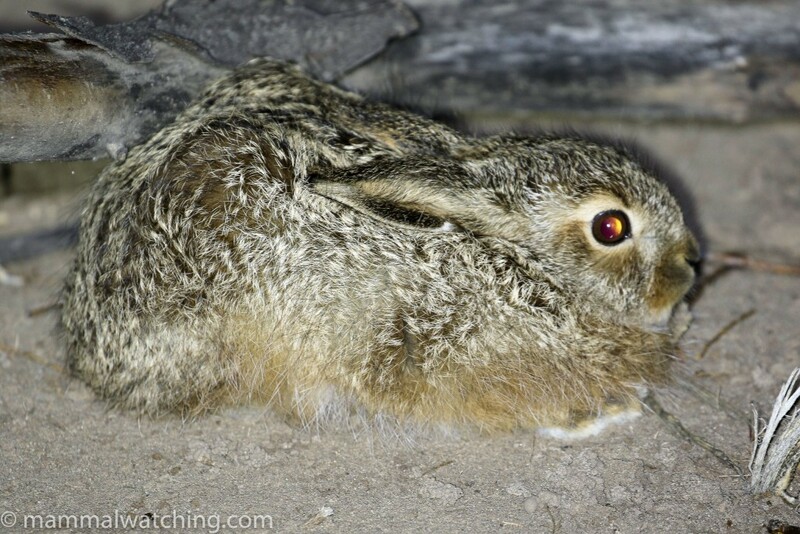 But other than two European Hares that was it for the mammals. Sunrise there was the most spectacular I think I have ever seen. 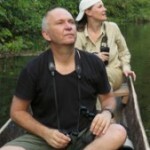 I spent several hours looking around the San Pablo de Valdés Wildlife Reserve just outside of Piramides. Marcela, from Los Mimbres in Gaiman, had gotten in touch with Gabriel Martin, a biologist friend of hers. He in turn connected me to Daniel Udrizar Sauthier, a mammologist based on the peninsula (and I had been reading one of his papers the day before). 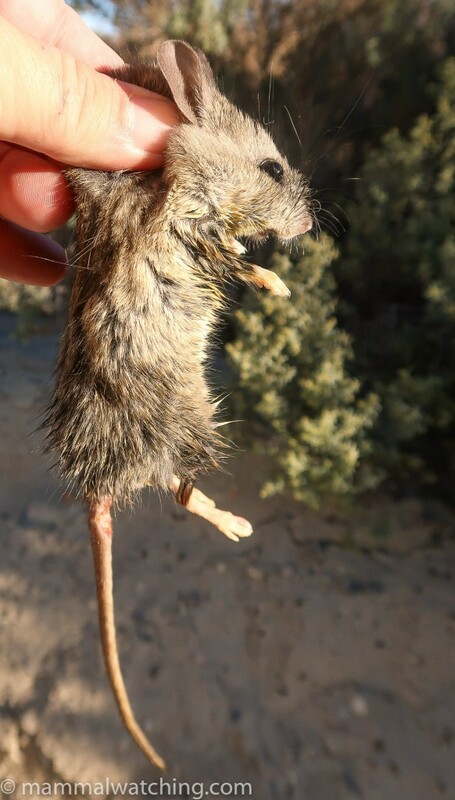 Daniel got straight back to me, very helpfully suggesting I look in the grasslands of the San Pablo nature reserve for Tuco Tucos (Ctenomys sp), Rabbit Rats (Reithrodon auritus) and Pichis. This area, he told me, was one of the best places to look for all three species, though they are all primarily nocturnal and the Pichis were likely still hibernating. The grassland area of the reserve runs from around 5km to 8km along the track starting from the nature reserve gate. Further down there is a ranger station which I didn’t visit. 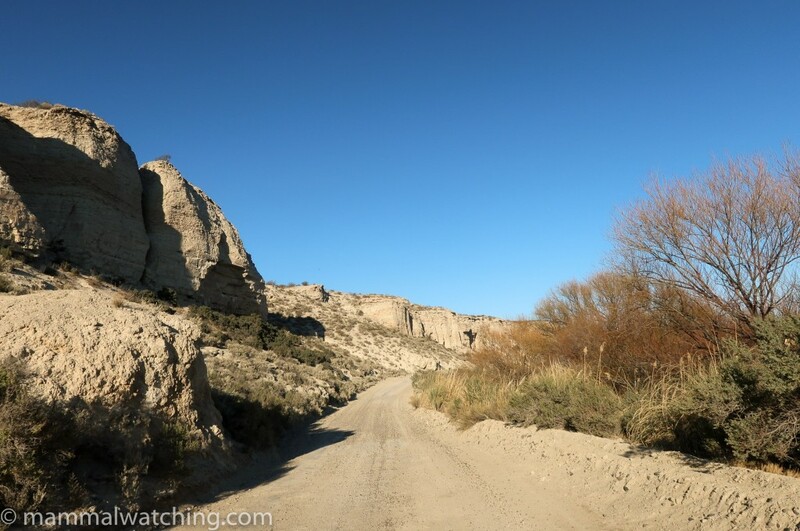 I managed to drive the road – just about – in my little 2WD rental car, but it was touch and go on a couple of the sandier stretches. With recent rain I suspect I would still be stuck there. 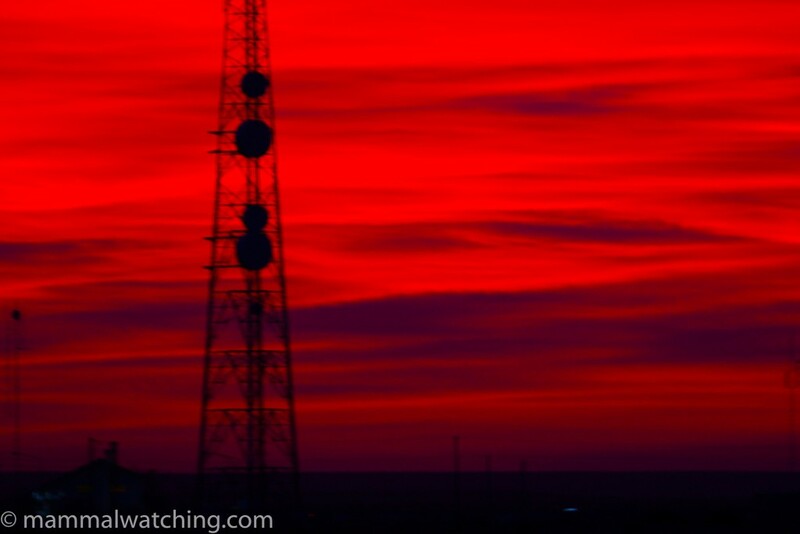 Despite several hours at dusk, dawn and night – with a thermal scope – I didn’t see any small mammals. Indeed, I saw no small mammals anywhere on the peninsula despite thousands of burrows. Some possibilities beyond the Tuco Tucos and Rabbit Rats here include Pallid Fat-tailed Mouse Opossum (Thylamys pallidior), Lowland Gerbil Mouse (Eligmodontia typus), a couple of grass mice (Akodon iniscatus and Akodon dolores), Drylands Vesper Mouse (Calomys musculinus), Gray Leaf-eared Mouse (Graomys griseoflavus) and Lowland Yellow-toothed Cavy (Galea leucoblephara). All of these have been recorded on the San Pablo reserve. I need to return in warmer weather. Daniel sent me this useful book about the fauna of the reserve. It is in Spanish only but who needs an English version when you have Google translate! South American Fur Seals are a very long shot. One or two vagrants are seen each year. 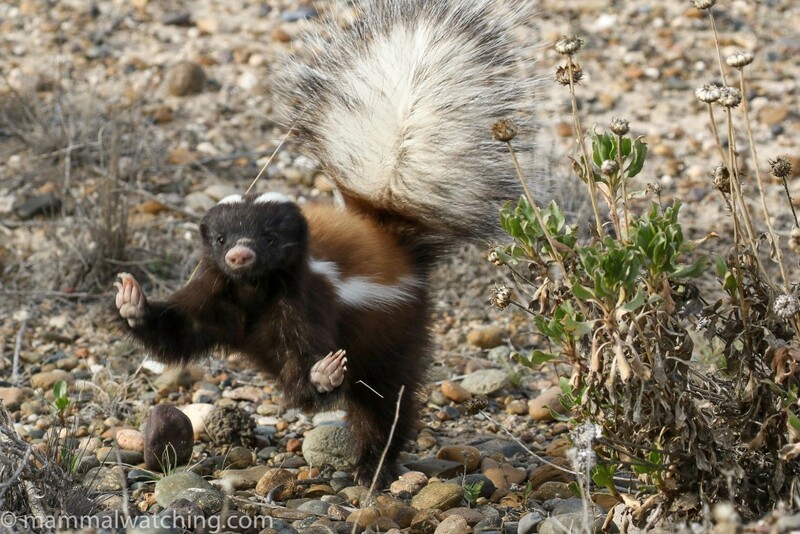 And no one I asked knew much about Patagonian Weasels. But Geoffroy’s Cats, Pampas Cats and Pumas have been recorded on the San Pablo Reserve as have Andean Foxes and Lesser Grisons. Orcas are more regular, but October-November and especially April are the peak viewing times: it is during these months that they can been seen taking seal pups off the beach. Definitely something to return for one day. 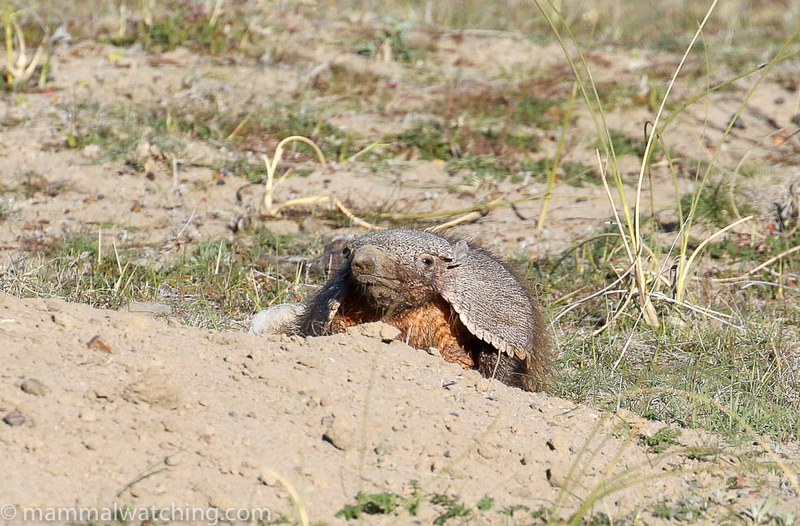 Pichis are also around but much less common I was told than the hairy armadillos. They are also more nocturnal and were quite likely stilll hibernating in early September. Pampas Foxes are presumably not uncommon. Feels like you produce site guides on demand Jon. Your report appeared a day after I bought my ticket to visit in december! Thanks a lot. Nice report and great photos. Do I understand correctly that all lookouts on the peninsula can be reached by 2wd and only the San Pablo de Valdés Wildlife Reserve is difficult to drive with a 2wd? Thanks Maurice and glad to be useful! Yes that’s right. The peninsula roads are all gravel but are fine in a 2wd and the car rental companies are ok with them too.